Leadership (Conscious & Limitless) and Cultures (Agile & Exponential). Discover How To Build #FutureFit, High-Performance, Resilient, Collaborative Mindsets, to Flourish & Thrive in VUCA-Times. – Turbo-Charge Your People, Teams, Leadership, and Organisational Culture, to deliver expoTENtial RESULTS. The ONLY place you have any power, is right HERE, and right NOW! Are you HERE NIOW? – Increase Consciousness, Unlock Passion, Expand Potentials, Activate SWIFT Action, Reduce Stress and Conflict, Grow Engagement, Resilience, Responsiveness, and Positive Relationships. – Change Change-Management into...Perpetual Reinvention and GRRROWTH: Grit, Responsive, Robust, Resilient, Optimised, Winning and Turbo-Charged, Happy… Mindsets. 45+ Years of R&D, and over R10 Million in time and money, makes Tony’s REVOLUTIONARY WORKPLACE High Performance System materials, wisdom and insights… Thought-provoking., proven, potent and profound. “Tony’s HPO process will change your life! ” John McGrath – International High-Performance Coach. WHY choose Tony as your Performance Partner? 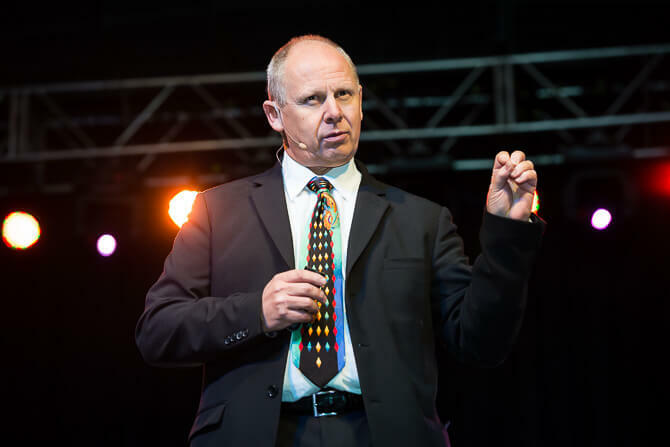 With over 45 Years of hands-on experience, expertise, research and wisdom, Tony brings HUGE amounts of VALUE, Impact, Insight, experience, expertise and sustainability, to your High Performance People, Teams, Leadership and Culture optimisation process. Transform mindsets, for Flourishing, THRIVING, and creating Exponential Results, happily in these Tough Times. You get 10x Perpetual Reinvention and Exponential Growth /Results, with Winning Mindsets, with Higher Performance Teams, Limitless Leadership, and CLEAR Cultures. Change “change” into GROWTH and Perpetual Reinvention… Build #FutureFit Mindsets for Exponential Impacts, in a Revolutionary Workplace, through Human Performance Technology (HPT), High-Performance Psychology, (HPP), and Tony’s unique, and proven, REVOLUTIONARY WORKPLACE; Philosophy, Framework. and System. Go beyond the best motivational speakers results in South African Johannesburg. Go for Exponential. ENSURE greater success with expert Business Leadership Speakers and Exponential Impacts Facilitators; Tony helps you create Resilient, Agile, “Bullet-Proof”, Mindsets, and Revolutionary High-Performance Workplaces, for Thriving and Flourishing in a VUCA world. Go WAY beyond the impacts of best Motivational Business Speakers, or any motivational speakers on success, happiness, or positive mindsets. Tony’s potent and memorable, Mind-Grow-Tainment, action-learning experiences, give you best value, most benefits, and deepest and longest-lasting impacts. Conscious Business for People, Planet, AND Profits. You can now experience the proven Revolutionary Workplace High-Performance System (CLEARx), to turbo-charge potential, and pump up the performance, of your People, Teamwork, Leadership, and Organisational Cultures, whilst supporting People, Planet AND Profits. Create Conscious GO Mindsets. Never been in training this INSPIRING! It was Awesome! Tony was very energizing, very inspirational. 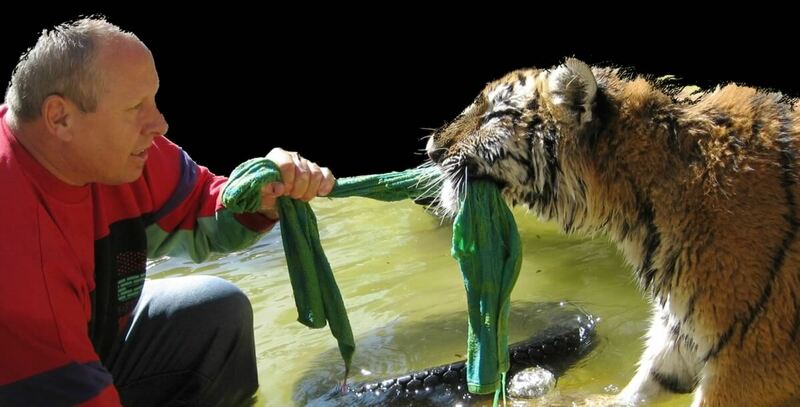 Our organisation can definitely use this type of training. It covers many different elements, of motivating teams, getting teams to work together better, getting teams to understand each other. The fun, the camaraderie, the whole energetic levels of the team improved. I’ve never been in a training that is this INSPIRING before! Actually getting people to think about… really understanding each other… What makes you tick? What makes you happy?…What makes you sad? And how do you need to look at this? A good understanding of yourself, where you need to be, where you are going? I REALLY enjoyed it. And I definitely feel good! Ansa – HR Manager Nissan South Africa. 400% Growth from Tony's HPO Intervention! It’s very hard to impress me, BUT… Tony held my attention from the first moment, for the full talk! As a professional conference organiser, and being in the conference industry for 26 years, I’ve seen them all. But, Tony is OUTSTANDING!!
" Tony's helping us to do it again - Goal 200 Million!" Tony delivered way beyond what we were expecting! Tony delivered way beyond what we were expecting. We had an OUTSTANDING team experience! – John Barker Assistant GM Coca Cola (USA) FIFA World Cup Management team. "...a truly enlightening & life-changing experience!" …a truly enlightening and life changing experience! Really removed team barriers. Made us focus on key leadership aspects. We also built trust within the team. Your talk and facilitation turned out to be a unique and powerful experience.- Andile Mvinjelwa, Managing Director, SA Mint. "Tony created a noticeable and dramatic difference in our team"
"Working with Tony was one of the most valuable decisions we've made!" 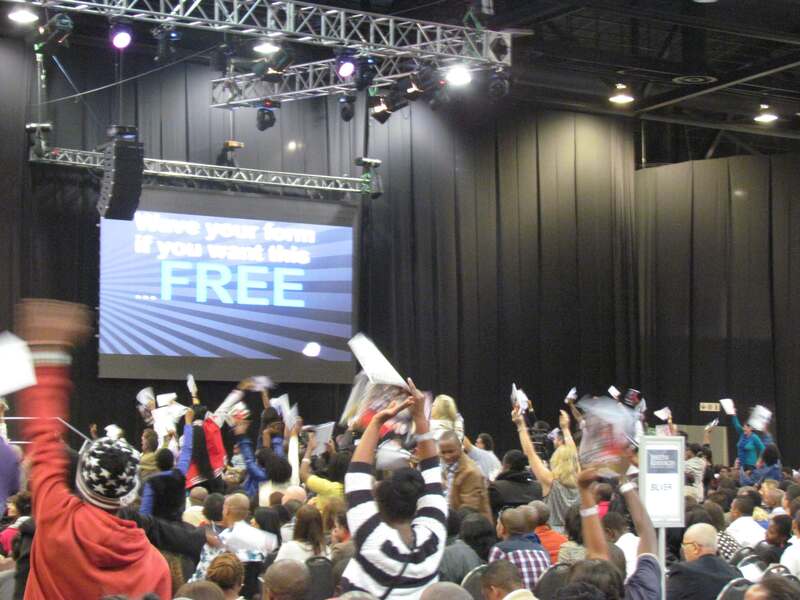 Tony’s spoken to thousands of participants in many countries such as London UK, South Africa, Nigeria, Zimbabwe, Canada, Kenya and USA. And the audiences all love him. Tony was fantastic! I was blown away...awesome! As an international speaker and trainer, I find it very hard to sit and endure BORING seminars. But from the moment I heard Tony’s relaxed, motivational and inspiring style, I was HOOKED! Not only is he inspiring, but he motivates you by sharing his personal struggles, trails AND triumphs! Tony challenged me to get FIERCE FOCUS about my business. He said ONE thing that shifted my thinking ENTIRELY. I’m coming away more driven and focused than ever before. You can tell that Tony REALLY CARES about making a difference in the lives of his audience!.. OUTSTANDING...! The positive impact Tony had on me and our team, is SO SIGNIFICANT! “I attended Tony’s workshop as part of my Toast Masters Leadership training. Tony was outstanding! The positive impact, at a personal level, that just spending a morning with Tony has had on our team, is so significant, that we are already working to make it possible for Tony to come back to address all of our leaders at our Southern African Toast Masters conference. The Most Thought-provoking speaker In my life! I Help companies to achieve Exponential Impacts and Results...SWIFTLY! Tony is one of the MOST inspirational individuals I've ever had the privilege of meeting! Your talk at PSASA was absolutely amazing! ...Awesome, Wow Fun, Exciting, Enlivening, Wake Up Call...! Presentation last night to COMENSA Pretoria! Andrea Girling. Shift Beyond the Motivational Happiness Speakers Impacts & Results... GO 10xpotential in the Fourth Industrial Revolution. Activating and expanding fullest potential, with more Consciousness, Meaning, Self-Mastery. Tony's Newest Mind-Grow-Tainment Interactive Experiences Actively Involve Audiences, and Expands Engagement, Experience, Insights, and Impacts. Build more caring, compassionate, and conscious mindsets, Higher Performance teamworking, and trust. Plus develop Limitless Leadership, on every level of your workplace; teams and organisation. The Consciously Constructive REVOLUTIONARY WORKPLACE High Performance system is your best Way to ENSURE Exponential Growth and go for 10xPotential RESULTS. ACTIVATE #FutureFit Mindset Mastery. Create More Meaning, Motivation, and Team Magic. Activate, align, amplify and expand potential. Convert Change-Management into Growth and Perpetual Reinvention. Business is rapidly shifting, and competition is growing at the speed of light. Exponential technologies such as artificial intelligence (AI), and Accelerated Machine Learning, (AML) are disrupting business models. 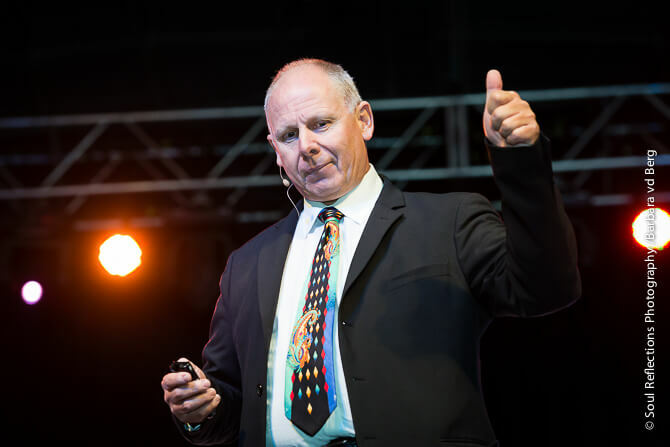 In this (customised), Info-taining, Mind-Grow-Tainment visual keynote, Tony Dovale takes your audience on an adventure, and journey, to discover the secrets of the world’s highest performance People, Teams, Leadership and Cultures. What the Human Performance Technologies (HPT) mean for you, and your team’s Thriving and Success. Which positions in your workplace require what new Human Element Mindsets & Skills to thrive. Why High Tech, means you MUST have even MORE HIGH TOUCH for staff engagement and Client Loyalty. The vital six step process for developing a REVOLUTIONARY WORKPLACE, and High Performance Organisation. How to lead High Performance Teams , and foster a Collaborative and Constant Innovation, Conscious Culture, to increase passion, performance, productivity, and profitability. How to use the new science of ‘Human Performance Technology’ to Evaluate, Activate, Expand, and Align, your people’s fullest potentials, and performance ,to implement and execute with Energy, Entheusiasm and Excellence. Topic: Assessing, optimising, engaging, Inspiring, and empowering Your People, Teams, Leadership and Culture to achieve Exponential Results. Go Mindsets, Trust & Teamwork, Limitless Leadership, CLEARx Cultures, go beyond change-management to Constant-Innovation in the VUCA / Fourth Industrial Revolution. Perfect Audiences: Leadership Events, Associations, Executives / CEO’s, Teams, Sales Teams, Executive Teams, Business Owners, Entrepreneurs, Management, Teams. Time is tight. Stress is Soaring. Competition is Growing. Talent is Restless. Multiple generations are creating havoc for old style – command and control, Dinosaur Leadership Mindsets. Business must embrace RESPONSE-AGILITY and GROWTH MINDSETS. to build stronger Psychological Capital and cohesive collaboration to Win. People, teamwork, leadership effectiveness, and a CLEARx Culture, are potent competitive advantages, to protect your organization from cannibalization, b ever-increasing Tech Automation, and growing competition. Learn how to Activate, Unleash, Expand, and Align, your people’s fullest potentials, for potent performance and productivity, in a sustainable and Human-Positive manner. In this unique, Mind-Grow-FLOW workshop , Tony Dovale takes you through his 45 years of Research, refinement, and development, of the academically validated, PROVEN, High Performance Workplace, Philosophy, Framework, Process, and System, he calls The REVOLUTIONARY WORKPLACE. How to Apply Human Performance Technologies (HPT) to ENSURE your team’s Thriving and Success. What new Human Element Mindsets & Skills are vital to Thrive in the Fourth Industrial Revolution. How to apply HIGH TOUCH for increasing client loyalty, in a High Tech World. 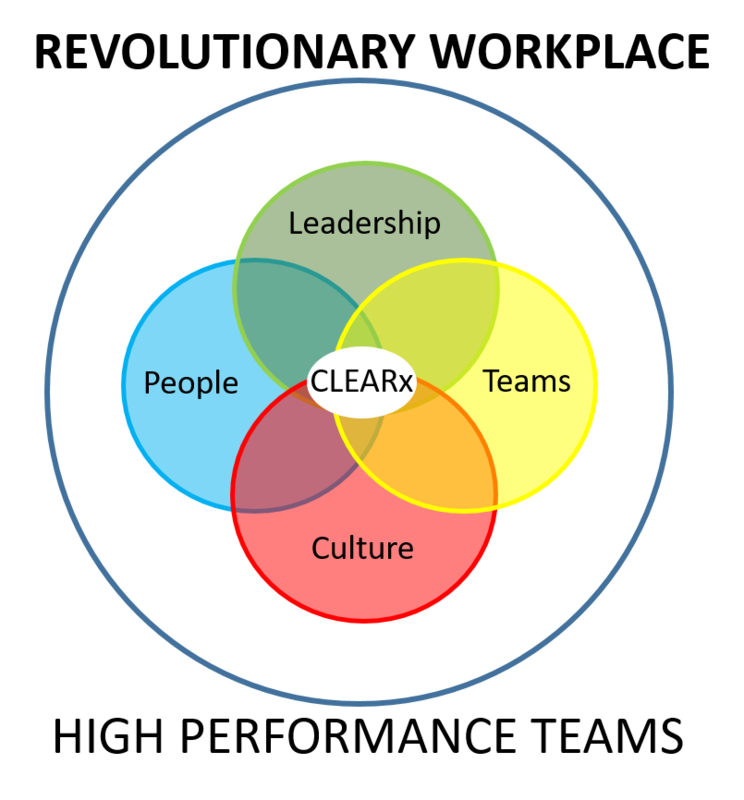 The CLEARx Six step system to build your own REVOLUTIONARY WORKPLACE High-Performance Teams. How to foster a Connected, Committed, Collaborative, and Constant Innovation, organisational culture to increase performance, productivity and profitability. How To Activate, Expand and Align your people’s fullest potentials and performance to implement and execute with Excellence. Business is changing at light speed. Artificial intelligence and robotics are disrupting everything. The Human element and Team building/ team working, has never been more Imprtant than now! MINDSETS: the right mindsets can make your staff up to 7 time more valuable in these Tough Times..Are they Response-ABLE? LEADERSHIP – 40%-60% of results are impacted, influenced, and directly controlled by leadership quality and consciousness. CHANGE – Change managment is DEAD – Long live Consciously Constructive Constant Reinvention as a way of life and business. CULTURE – up to 60% of Performance and productivity is constrained or contributed, by your workplace and team culture. a High-Performance Culture, with Limitless Leadership! This man can change your life… I’m inspired! Thank’s Tony for an extraordinary talk. 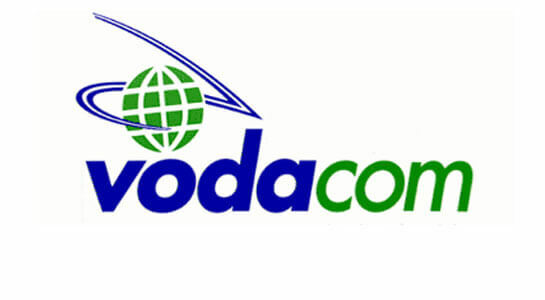 You are ready to transform, reinvent, reactivate, regenerate and revitalise your organization. You need to develop Limitless Leadership mindsets, positive attitudes, and expert skills across your company, on every level. You need to build and sustain effective and powerful leadership Mindsets and a positive high-performance culture, and attitudes,, to ensure REAL success, in tough times. You need a dynamic inspiring, informative and expert motivational business speaker, facilitator or conference presenter, for corporate conferences or business events, who’s spoken to, coached, and facilitated, executives, leadership, small and large groups, locally and internationally. You need to activate, inspire, and educate, your people, teams, and leaders, to be more agile, Response-able, energised, and change responsive, in a VUCA world. “Tony’s Session With Us Was LIFE-CHANGING! I’m privileged to address audiences locally and globally. These smart groups choose me because they want their audiences to experience a new, powerful, interactive, Mind-Grow-Tainment process, thought-provoking content, and 42+ years of wisdom, insights, lessons, and research…that can transform how they achieve sustainable results: Shift how they Think, Feel and Act! My passion for researching and facilitating Higher Performance; people, teams, leadership and culture clearing workshops, and talks, combined with my experience business/ executive coaching, developing Potent Mindsets, and activating greater potential, make my presentations’ foundations relevant, radical, thought-provoking, vital, and valuable. Aside from my experience and expertise, I’m hired because I deliver my encounters with Authenticity and LOVE; Purpose, Passion, Compassion, Clarity and Commitment to excellence. My opening keynotes and talks start your meetings/conference with a thought-provoking “bang”, that keeps everyone thinking and talking about the events messages for days and weeks, long after the event. 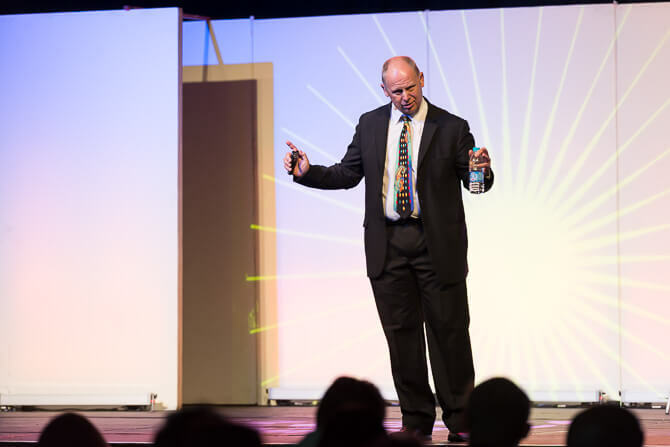 My closing keynote speeches activate, and send everyone home, with an energized and awake MindShift, ready and raring to GO…to take fiercely-focused, positive, SWIFT action, with their new GO mindsets, wider perspectives/ information, new found passion, and potential. All talks, workshops, and presentations, are adjusted to the level of the audiences. All the way from CEO’s, executives, high-potential leaders, to troubled-and toxic teams, and taxing top-performers, even to the tea-lady’s team. Longer interactive keynotes talks and high performance programs and retreats, are high-content, totally relevant, based on extensive research, customisation, development, and experiences, in the trenches All learned from helping companies and teams to 2x, or even 4x, their results. Tony’s Mind-Grow-Tainment process blends relevant activities, interactions, information, and group explorations, into potent Appreciative Inquiry action-learning, highly engaging, and entertaining encounters. Your audiences get a potent blend of proven experience, expertise, and entertainment – that creates profound life-shifting and memorable experiences… directly applicable and usable, in life AND Business. Tony differs from other Keynote or leadership mindset or business keynote speakers in joburg, Gauteng, South Africa, because his potent Mind-Grow-Tainment #FutureFit Mindsets process enhances messages, meaning, impacts, motivation, and mindset mastery, with interactive experiences and memories that LAST. Extensive expertise in deep personal mastery, and high performance business growth experience, enables Tony to share a wealth of actionable insights, tools, and wisdom, that puts the value-add you gain far ahead of typical short-lived purely motivational-style messages. The Mind-Grow-Tainment process and impacts are life-changing for individuals, and life-giving for teams and companies. The Consciously Constructive Revolutionary Workplace philosophy, framework, and system’s, impacts last beyond motivational speakers talks. You gain optimum value, and long-term impact, from Tony’s inspiring, engaging, and expert talks, workshops and Action-Learning experiences, because they positively shift people’s IDENTITY: perspectives, limiting beliefs, blind-spots, behaviors, baggage and MINDSETS. -A REVOLUTIONARY Mindset and High Performance Space! This means you get huge improvements and long-term sustainability in staff engagement, inspiration, Happiness@work, Growth Mindsets, Resilience, Leadership Effectiveness, Agility, Flexibility, Responsiveness, Collaboration, Connection, Flourishing, and Workplace Well-Being. If you need 10xponential RESULTS… Call Tony. You can trust Tony to ensure real success. You get massive value, FAR beyond the usual impacts, results, and sustainability, of any motivational style events. Clients get to see very meaningful returns on their investments. Some again 2x to 4x annual improvement in business performance and results, with ROI’s in the 100’s. Be Smart – Go beyond short-lived impacts. Be Game-Changing! Create #FutureFit Happy, Hope-Filled, High Performance Mindsets and potent teamwork. 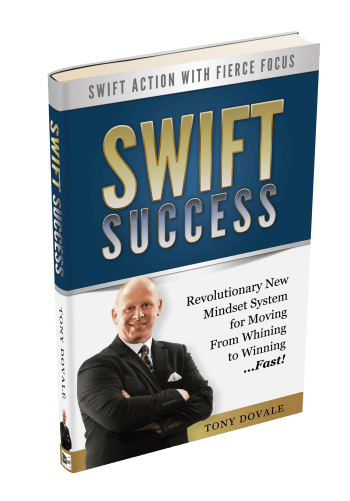 Tony Dovale is a seasoned serial entrepreneur, Consciously Constructive Courageous Mindset expert, and High Performance business leadership speaker. He has a passion for helping others to activate, expand, and SWIFTLY action, their fullest potential, to achieve their greatest work: To go for their Soul’s Goals, and bring more freedom, love, meaning, magic, peace, compassionate-action, and joy, each day. He knows exactly what it’s like to start, and run, businesses, pour your heart, soul, and money into it, and hope to see it develop into a high-performance machine… that is profitable, sustainable, efficient, effective, vital, and adds real value to the world – People, Planet AND Profit. 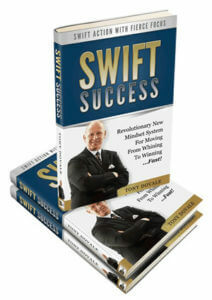 Tony thrives on helping you overcome your greatest challenges, and achieving outstanding – beyond expectation, results. He has extensive experience, and know-how, to help you visualise, plan, create and rigorously execute, successful plans with FIERCE Focus, and SWIFT Action, to attract and retain loyal customers, grow your team, trust, organisational culture, workplace well-being, AND profits. Tony’s fresh-approach, new business talks, and conference presentations, are on his proven REVOLUTIONARY WORKPLACE 10x Exponential Mindsets, and CLEARx High Performance framework; The proven and potent #FutureProofing systems ENSURE GREATEST SUCCESS, and help companies to become more Conscious, Consciously Constructive, and thrive in an ever more uncertain VUCA world. As a great business leadership speaker, Tony goes way beyond good Motivational and Inspirational speakers, on mindsets with #FutureProof leadership, in South Africa. He creates mindshifting action-learning experiences, that deeply and profoundly impact and transform people, teams, leadership, and culture, on multiple levels. GO Mindsets, Top Teamwork, and Limitless Leadership, are your most potent and effective corporate and business system optimisers. Tony shares step-by-step phases to help you take yourself, your team, and your business, to the next level of Higher-Performance, positively impacting People, Planet AND Profits. Tony’s High Performance Results System are based upon over 42+ years and over R10 Million, of research, development and refinement. Transforming business leadership speakers South Africa into LifeShifting WINSPIRATION catalysts. The Consciously Constructive CLEARx system is a holistic high-performance Philosophy, Framework and Process, that helps people, teams, leaders, and entrepreneurs, to develop Resilient Growth-Mindsets, True Teamwork, and create a Consciously Constructive workplace (Regular Development of People, Supporting Planet & Drive Profit), that thrives, flourishes, and achieves 10exponential impacts and results. Time for FIERCE Focus on Strategic Success, with SWIFT Action, to deliver Exponential Impacts. Get the #FutureFit leadership / Conference expert speaker who goes way beyond the norm, in Johannesburg, Gauteng, South Africa. Complete the form on top and get started with Tony’s Mind-Grow-Tainment.